The hidden treasure of the playlist. Isaiah 45:3 “And I will give thee the treasures of darkness, and hidden riches of secret places, that thou mayest know that I, the LORD, which call thee by thy name, am the God of Israel.” Some of us are not as computer savvy therefore today we want to explain how to reveal the secret places of the playlist. Most websites today use an icon to unveil a menu with three horizontal lines. Below you could see the playlist icon is similar. Underneath the player we have a notification showing the date of when new content was added to the playlist. This is important to note, because any audio we produce is first uploaded to the radio station. 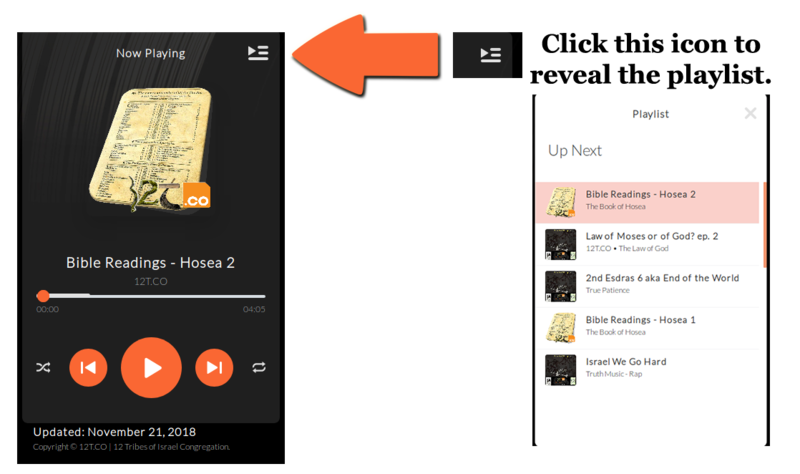 As we put up more audio we also remove content from the playlist so it doesn’t grow too long. The audio on the top is the latest content. Remember anything removed from the playlist could be found on the download page or it was pushed out as a podcast. We hope this small tutorial will lead you to the treasures of the scriptures. 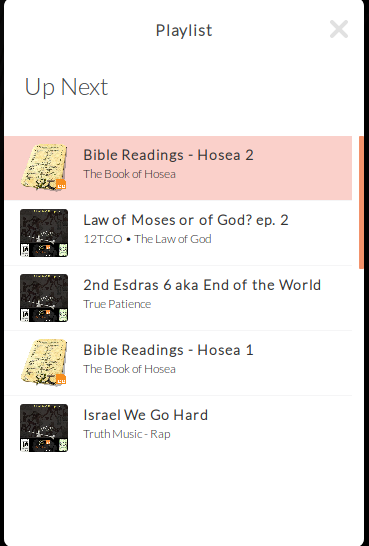 While we are on the subject, the picture above states that the radio station has been updated today with Hosea chapter 2 and some music. Enjoy!